■ Frame: Conference and executive in cast aluminum or glass reinforced nylon structure. Hi-task in nylon only, lounge in aluminum only. ■ Finish: brushed aluminum titanium finish or nylon in a matte charcoal gray finish. ■ Lumbar support: structure shapes the back to form a natural lumbar support. ■ Bases: Conference, executive and hi-task have 5-star bases, the lounge has a 4-star while the table has a 3-star base. ■ Mechanism: Offset recline pivot with central tension adjustment. Conference and executive are swivel, tilt and height adjustable, hi-task is swivel, height adjustable and no tilt while the lounge is swivel, tilt and fixed height. ■ Tilt: Side-mounted lock lever. 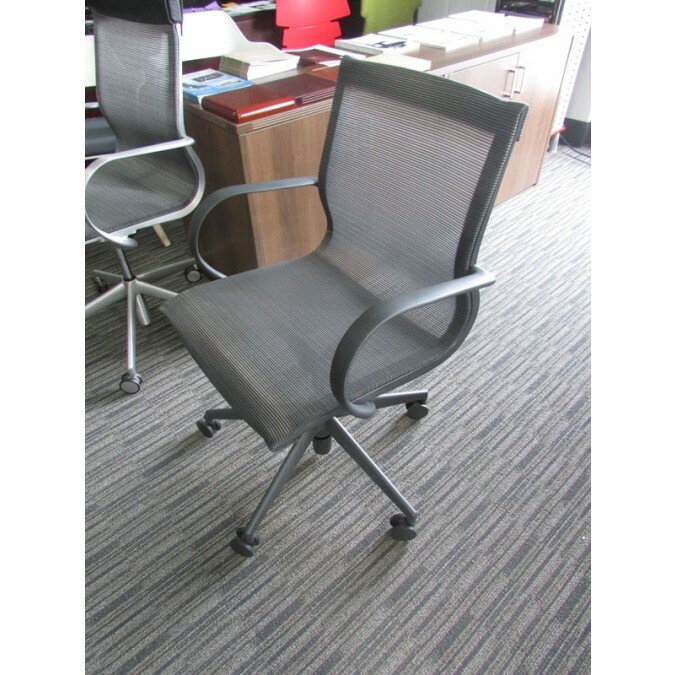 ■ High and mid back frames are available for conference, executive and lounge while hi-task has mid back frame only.